#2 from this incredible series of blog posts by my friend Dr. Jason Olitsky where he looks at the common mistakes in esthetic dentistry! When evaluating the esthetic principles inherent to successful smile design it’s important to know that a reverse smile can undermine the success of the finished cosmetic case. Here’s one of my top clinical tips for maximizing the outcome of your esthetic cases by instituting a knowledge of radiating symmetry into your approach to cosmetic dentistry in the practice. The second violation of smile design operates under the concept of a radiating smile and the techniques inherent to creating that “happy” smile rather than an esthetically “unhappy” one. The best place to start when considering this aspect of smile design is to remember the mantra, “A radiating smile requires radiating symmetry.” If you can keep that at the forefront of your treatment approach, the following techniques will enable successful cases. To create radiating symmetry, you must first apply principles of labiodental dynamics. The first step is to make sure that the incisal edges of the maxillary anterior teeth follow the border of the lower lip. Depending on patient preference, you must determine the appropriate shape of the line that blends into the posterior teeth, whether what follows is an occlusal plane or Campers plane (from ala of the nose to the tragus of the ear). 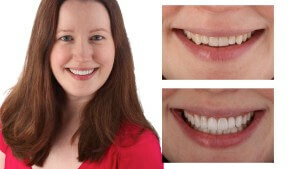 To create a masculine/older smile: straighter smile curves. To create a feminine/youthful smile: more convex curves. When determining smile symmetry, it is crucial to recognize when an unesthetic incisal line occurs. This kind of reference point when considering incisal edge positions and correcting a concave smile curve can help you determine the usefulness of either shortening canines or lengthening incisors. It’s important to note that central incisor tooth display can vary greatly from patient to patient, so it’s best to communicate final incisal edge position with the laboratory before waxing. 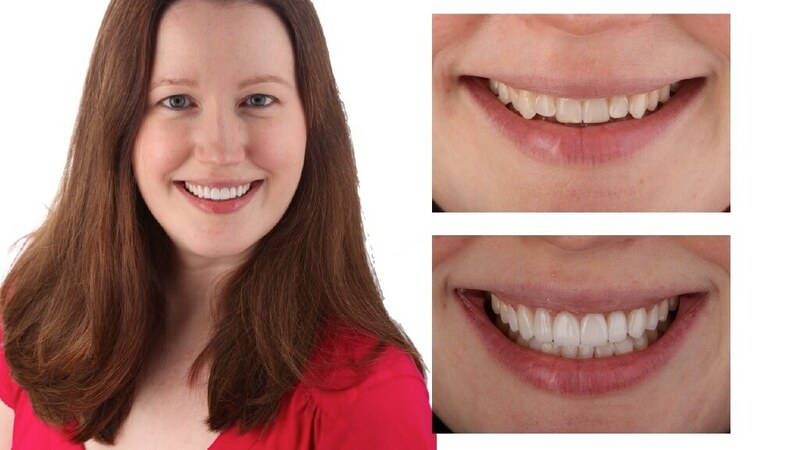 Analyze the smile with Digital Smile Design techniques or direct mock-ups. It can also be useful to make use of a face bow when working with the technician. The combination of these techniques can result in a smooth collaboration with the dental lab.